"Every restoration is special. That's why I take time and consideration into every restoration to ensure quality craftsmanship." This 1959 Edsel was recently restored by Eric, and the Complete Auto Restorations Team in 2014. Another one of our quality restorations is shown below. This 1959 Cadillac 62 Convertible received a total 100pt restoration. Interested in starting a restoration? Call C.A.R. today! 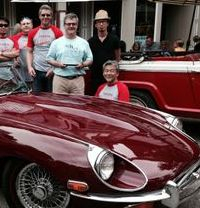 Complete Auto Restorations also specializes in partial restorations. A simple refresh could be the only thing your classic needs to start the show season off right! 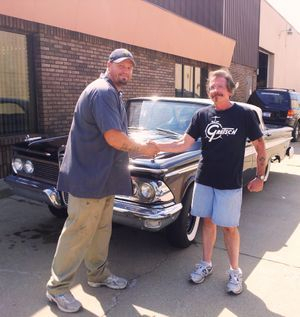 Shown above is a very satisfied Complete Auto Restorations customer. The Jaguar is now ready to take on any upcoming show.